Another fine addition to the SDX line! Very well recorded. Covers a broad spectrum. 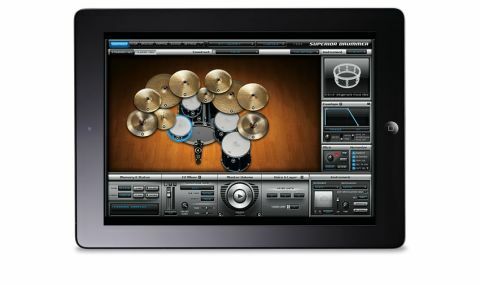 The New York Studios series is the centrepiece of Toontrack's amazing Superior Drummer virtual drum kit system, the core library itself constituting Volume 1 (recorded at Avatar Studios), and the first add-on SDX being Volume 2 (recorded at Hit Factory NY and Allaire). "Volume 3 sees Toontrack returning to Avatar Studios to capture three full vintage drum kits, as well as a sizeable collection of cymbals"
Volume 3 sees Toontrack returning to Avatar to capture three full vintage drum kits and some supplementary snares, as well as a sizeable collection of cymbals. We say 'returning', but actually, the original sessions were done in 2006, with engineers Neil Dorfsman and Patt Thrall retrieving the recordings from the vaults last year for production - so it's really a prequel. With the full install weighing in at 18GB, NY3 is very much "more of the same", certainly, but Superior has always been all about lovingly recorded acoustic drums rather than crazy electronic sounds or percussive esoterica, and as any Superior user will attest, adding to the library with a new kit or two is always a thrill. The drums, then, comprise 1964 Slingerland, 1979 Ludwig and 1966 Rogers kits, with extra snares by GMS and an unknown manufacturer. The cymbals are almost all Sabians (the HHX series being the most represented), and there are a lot of 'em, covering a broad sonic spectrum. The Slingerland kit is our favourite, with its tight, funky kick and snare, and dry, musical toms. Beyond that, it's all big kicks and toms, throaty snares and a generally 'rock' vibe. The Ludwig setup (powered along by its hefty 24" kick and 61/2" snare) sounds 'thumpier' and perhaps a bit less buoyant than the other two, but the three kits complement each other well. The recording quality throughout is stellar (see the website for the list of gear used, headlined by Avatar's Neve 8068 console), and making your own presets by mixing up kit elements and working the SD mixer is as fun and productive as ever. There's also the usual library of genre-categorised MIDI files, performed by renowned sessioneer Nir Z, to use as starting points for your own programming endeavours.